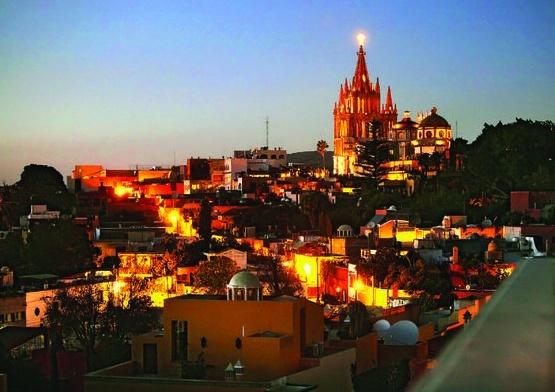 SAN MIGUEL DE ALLENDE, MEXICO—I suddenly felt like a wide-eyed kid standing in a candy store of brightly coloured houses and shops, spreading along sun-soaked narrow cobbled streets. This was not what I expected when I was invited to visit San Miguel de Allende. After travelling four hours by road north of Mexico City, I arrive in the historic town of San Miguel. If I didn’t know this was Mexico, I could be forgiven for thinking it was a piece of old Europe. Every street is cobbled, every sidewalk narrow and this preserved town reflects the surrounding landscape of reds, deep yellows, blues and pinks. San Miguel is a mile high, so go easy your first few days. Your breathing will feel a little light because of the altitude. Take the same advice for the tequilas that can be enjoyed in the many quaint restaurants and bars. 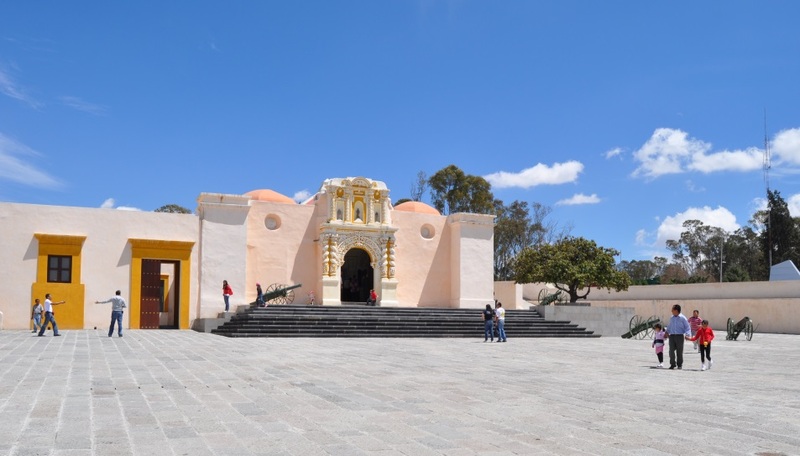 In the centre of this UNESCO World Heritage town is the impressive pink, multi-spired La Parroquia de San Miguel Arcangel, known simply as La Parroquia. It is from here I decide to walk north along Dolores Hidalgo-Celaya, on the shady side of the one-way street. Choose the sunny side, and you’re marked as a tourist. The shady side is crowded, and the high stone sidewalks are only wide enough for one person. Passing the tastefully subdued Starbucks (the only hint of a chain store in the historic part of town) I make my way to Harry’s Bar, an American institution. Harry’s is bustling and filled with Canadians, American and a few Europeans. The food is delicious, inexpensive and the staff plentiful, attentive and friendly. It is here you can get the scoop on the expat community, or purchase a ticket to the bullfights. Today, people are stopping in to pick their seats for Friday’s event. After a refreshing cerveza, I continue to the end of the block and turn right along Insurgentes to the Biblioteca Publica. Here the weekly Atencion newspaper can be purchased each Friday for 10 pesos (about 70 cents). Get there before noon as they go quickly. The paper is in English and outlines all the activities for the coming week. While at the public library, be sure to pick up a free copy of the San Miguel Walking and Shopping Guide. This will be a constant companion and a source of information on absolutely everything in San Miguel. The Biblioteca, where you can also buy newspapers and magazines, offers tours, including the Sunday house and garden tour, and the three-times-a-week historic walking tour. 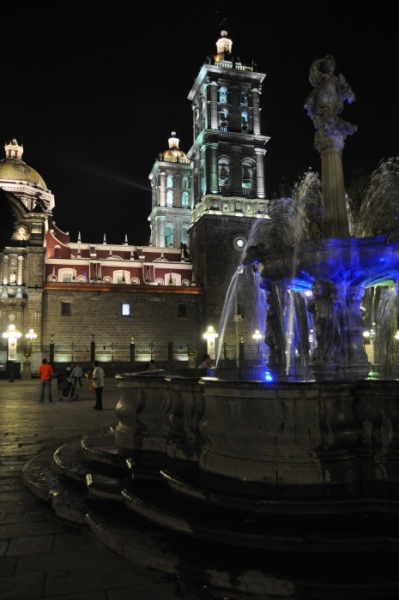 These are great, inexpensive ways to experience the history and culture of San Miguel. In addition, they contribute to the work of Canadian and American volunteers who build up the stock of books for the Biblioteca, lead local literacy programs and develop scholarships for graduating students. Up the stairs and to the right is a quiet little café where you can read your paper, have a fresh espresso and nod asleep to the sounds of the old stone fountain. Sipping my coffee, I can see at least two charming places to stay. San Miguel has many boutique hotels and lovely bed and breakfasts. During my first visit here, I am staying in the home of some Canadian friends while they tour Europe. Each morning, I have breakfast on the patio of a neighbourhood B&B called Casa Carly. Carly’s is a restful pace providing seven private suites, many overlooking the fountain, gardens and pomegranate trees. 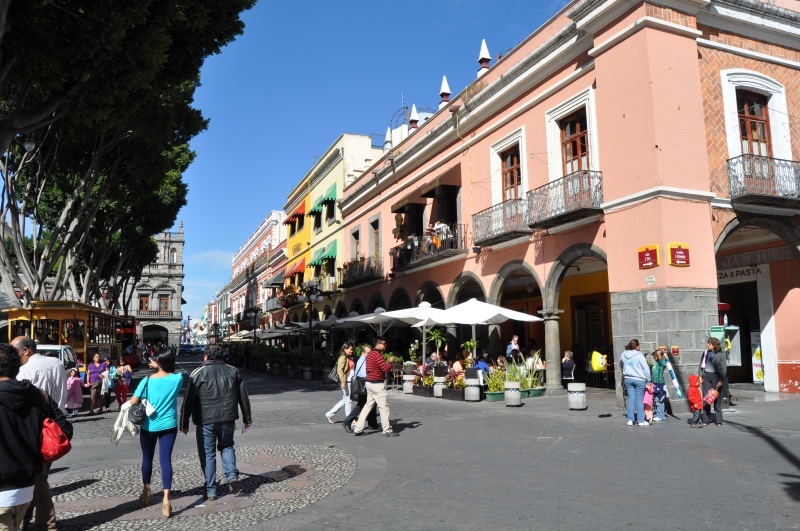 The pedestrian-only square in the Centro is a shaded and manicured meeting place for young and old. Whether chatting about grandchildren or breakdancing in the gazebo, the park is San Miguel’s pulse. It’s a blend of old and young, slow and fast, local and foreign. The vibe here flows out in every direction throughout town. A few days ago, the square was alive with workers erecting a bandstand for the mayor, who was doing her duties as the cheer leader of San Miguel and hyping the upcoming Independence Day festivals. Festivals happen here all the time, as do any chance to let off fireworks. Having a baby soon: Fireworks! An engagement: Fireworks! Another Saint’s Day: Lots of fireworks! Independence from Spain: Haul out the heavy artillery! This weekend’s festivities will prove to be very, very loud and I’ve been forewarned to forget about trying to sleep at night. I now confidently put away my map and can manage some of the confusing streets on my own. I still get lost occasionally along the oddly laid out streets, but only have to look for one of the many familiar church domes and I’m re-oriented! My hiking boots are perfect for the streets here. One could very easily twist an ankle or worse. I mentioned cobbled streets. Yes. But many more streets are simply rounded rocks pushed into the ground. If you are a woman and think a pair of high heels would look awesome on your way to the clubs, think twice unless you want to wear a fetching cast on the patio the next day. Sensible footwear was made for San Miguel. After a few days, I head out of town to do some exploring. An hour away, the revolutionary town of Dolores Hidalgo is worth a visit for its many shops offering handmade ceramics and rustic pottery. You can sample the legendary local ice cream, sold on the street. Flavours include tequila, beer, shrimp and even beef! But don’t worry, there is pistachio as well and it’s the best I’ve ever had! The cheerful and hospitable street vendors will go out of their way to have you try everything. Take them up on it. A little further still is Pozos, a ghost town from the 1600s that was a thriving and wealthy mining town supplying silver to the Spanish. Today, it is slowly being reinhabited and much interest is focused on its rebuilding. Some say it will be the next San Miguel in 20 years. It has some surprisingly beautiful places to eat, stay and shop. You can drive and tour the many ruins of old silver mines and smelters using the town map. Be warned, though, that the ruin that looks like three pyramids, in the opposite direction of town, is difficult to find, almost requires an off-road vehicle to reach, and is completely unsigned. We just happened to see it in the distance by chance and drove overland in its general direction. One way to visit these places is by bus. But you better have a good command of Spanish, as almost nobody speaks English. The best way to go is to hire a driver who will take you anywhere you wish and stay with you, acting as a local guide as well. This option is highly recommended. And inexpensive. Meet Fernando Ibarra, my driver. He is a 65-year-old dapper gentleman with a blinding white dress shirt and flowing grey hair. One of 12 children, he is punctual, effervescent, knowledgeable and has a charming sense of humour. Fernando can be hired for $160 Canadian per day, including gas. Daily personal expenses, such as meals and attraction entrance fees, are not included. I am staying in the northern part of San Miguel, a short walk from the Centro, in an area called Guadalupe. 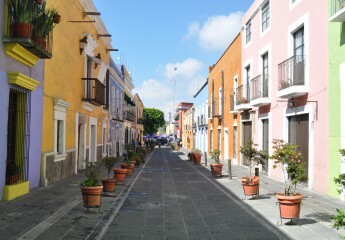 It is quiet, a family neighbourhood of winding streets and is a little more rustic than the Centro. This is a perfect place to settle and build a house. Nearby are a few schools with excited children running about in blue-and-red uniforms, a vast, gated, high-end condo complex and the Fabrica La Aurora art and design centre. Once a muslin mill, the factory buildings have been carefully preserved and turned into galleries, studios and a couple of cafés. You can wander the complex for hours, marvelling at the avant garde ceramic sculptures, metal installations, beautiful handmade jewellery and hand-crafted furniture and paintings. This is a place designed along the lines of Toronto’s Distillery District. I have now been here for two weeks and have only seen a fraction of San Miguel. It is understandable why so many people from Canada and the United States come here to live year round or at least part-time. It is safe day and night, it has a thriving arts community, and it has an idyllic dry temperature. These attributes of San Miguel are on my mind as I begin to pack for my direct return flight to Toronto. My bags are heavier with some gifts and something else — my copy of Atencion with real estate listings and pictures to make me dream of returning again, maybe for a much longer stay! ARRIVING Air Canada, non-stop to Mexico City $960 return. From the Mexico City airport, Primera Plus luxury coach to Queretaro www.primeraplus.com.mx. Tickets are about $30 Canadian. If you arrange a drive with Fernando, he will greet you and drive one hour to San Miguel. Fernando Iberra, fdoibarra@hotmail.com. DINING Carly’s for breakfast starting at $8 Canadian. Harry’s offers lunches from $15 and dinners starting at $25. Luna rooftop tapas bar at the Rosewood offers one of the most stunning views of San Miguel. Starting at $7/dish. SHOPPING Luthier, Sergio Huerta. An extraordinary craftsman who makes fine guitars, violins and cellos. luthier_huerta@yahoo.com. Arte San Gabriel. Pottery factory store on the way to Dolores Hidalgo, www.artesangabriel.net. Fabrica La Aurora. On the right side of Calzada de La Aurora, just over the small bridge in Guadalupe. Your taxi driver will know it. ADJUSTING Taxis are about 35 pesos anywhere in town. About $2.40 Canadian. Tips are not expected in taxis, but are greatly appreciated. Tipping in restaurants is the same as Toronto.